The Huawei Mate 9 was updated to support Project Treble on its Oreo beta. A user on XDA-Developers has successfully installed and booted a generic version of AOSP Android on the device in what may just be a groundbreaking event in the history of Android. Word of Google's new Project Treble has been in the headlines of recent, with the feature activated on the Essential PH-1 following an update to the Oreo beta, but being rejected by OnePlus. The Huawei Mate 9 is another device that currently enjoys an Oreo beta and, like the Essential PH-1, also receives the perks of Project Treble. Our friends over at XDA-Developers have installed a generic, stock AOSP ROM on the device successfully. One thing Windows has over Android is uniformity. Windows users can download a random Windows OS image and install on any PC without having to consider the peculiarities of the unit. It's much more complicated on the Android side of the fence, as each device runs on software configured for it. It's what makes software updates a major pain point in the ecosystem, as the OEM has to develop unique software for each of its devices. Project Treble pretty much changes all of that. With Project Treble, any Android device can install a barebones version of the OS, much like what we've just seen on the Mate 9. The ROM, AOSP, is the base version of other ROMs like Stock Android, Lineage OS, Ressurection Remix, etc. It's clean, light, and fast. 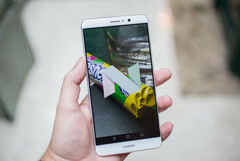 Stock Android is considered the most efficient version of the OS, for example, as it trades in the trappings of unnecessary features for fluidity. As these custom ROMs are based on AOSP, there's a chance we may also see uniformed feature-packed ROMs that work on every Treble-supporting device in the future. Devices from OEMs like Samsung, Xiaomi, Huawei, and LG ship with brand skins (heavily customised versions of Android), which some may consider distasteful. Project Treble allows you to buy any of these devices, and install a generic version of AOSP on them. Imagine clean AOSP software on the hardware of a Galaxy flagship! Devices launched on Android Oreo must support Treble, so if your phone runs on Oreo out of the box, you're in luck. Other than that, devices updated to Oreo may also get Treble support, but it's entirely dependent on the OEM—Essential and Huawei implemented the feature on their devices, while OnePlus will not. For an OS that lays claim to being the best in the smartphone world, the issue of uniformity is one that detracts from its overall package. Treble fixes that, and the ability to install generic versions of Android is game-changing.